The Mercedes-AMG GLC 63 S 4MATIC + has dethroned the Alfa Romeo Stelvio Quadrifoglio as the fastest production SUV to ever lap the legendary Nurburgring Nordschleife. 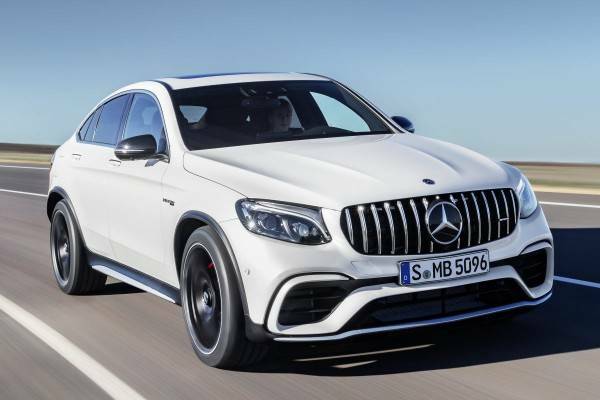 The 503hp 4.0-liter biturbo V-8 powered GLC 63 S SUV completed the 20.8-kilometer (12.9-mile) North Loop in 7 minutes 49.369 secs, breaking the previous lap record of 7 minutes 51.7 secs, set by 505hp Alfa Romeo Stelvio Quadrifogli (powered by 2.9-liter twin-turbo V-6) in September 2017. Behind the wheels what Mercedes-AMG Development Engineer Markus Hofbauer, who managed to set the record on his first attempt. This is the second Nurburgring record for Mercedes within a month. The Mercedes-AMG GT 63S 4MATIC + four-door coupe thus became the fastest four-seater production car around "The Green Hell" with a lap time of 7: 25.41. Alfa Romeo Stelvio Quadrifogli's record stood for 13 good months. How long do you think the Mercedes-AMG GLC 63 S's record wants to be at the legendary Nurburgring race track?